The Whitman-Hanson Boys Cross Country team (2-3) downed Silver Lake at home Wednesday afternoon 24-37. 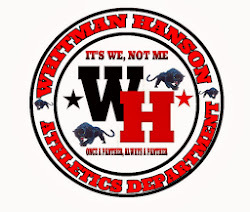 Whitman-Hanson Girls Cross Country (2-3) placed 6 of the top 7 runners to defeat Silver Lake at home Wednesday afternoon. Scoring for the Panthers in the 5K race were JR Tori Boss (2nd, 22:08), JR Niki Kamperides (3rd, 22:12), SR Captain Maeve Rooney (4th, 22:59), SR Captain Maeve McDonough (5th, 23:26) and SR Dorothy DiMascio-Donohue (6th, 23:26.) JR Tori Carleton placed 7th overall in 24:00.